Vermont is known far and wide for its exceptional beer. The state boasts more craft breweries per capita than any other, and its brews are routinely rated among the best and most sought after in the world. But last week, two local breweries nabbed honors for great taste of a different sort: their can designs. 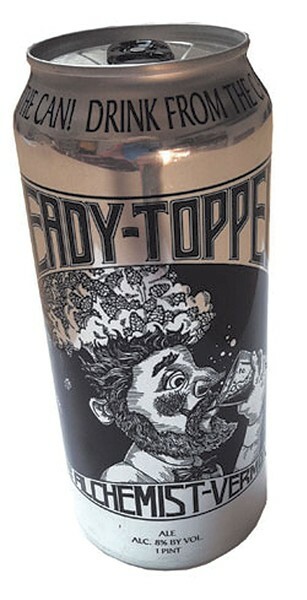 A readers' poll conducted by USA Today named the Alchemist's Heady Topper the best beer label in the country. 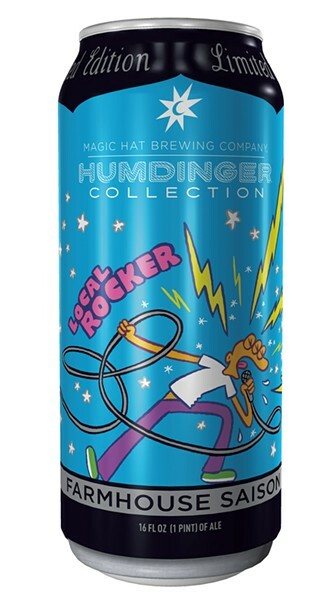 Magic Hat Brewing's Local Rocker landed eighth on that list, chosen by readers from 20 nominees selected by a panel of three beer-expert judges. "Whether who wins has to do with how much people like the beer versus how much people like the design, I don't know," says James Kochalka, who drew the Magic Hat design. "But it's always nice when someone notices your work in a positive way." Kochalka is a Burlington-based comic artist who penned the daily strip "American Elf" for 14 years and was Vermont's first cartoonist laureate. He's also a nationally renowned rock musician, and hence an ideal designer for Magic Hat's Belgian-style Local Rocker ale. "They had their beer, and they had a name, and then they were like, 'Who would be best to draw this thing?'" recalls Kochalka. "They decided me, because I'm an artist and I am a local rocker." "He has lived rock and roll for so long, and it shows in everything he does," says Magic Hat creative director and fellow rocker Ryan Ober of Kochalka. "It was really fun to utilize some of his most iconic art, live rocking characters, on a beer package." Kochalka based the design on a poster featuring his "American Elf" character that he drew for a rock show celebrating his 50th birthday. Unlike the toon, however, the fellow on the Local Rocker can — who's screaming into a microphone with a long, curling cord — has three eyes. That's a wink to another Kochalka comic creation, "The Glorkian Warrior." "It's kind of a mashup of the two characters," explains Kochalka. "It's like a cartoon stand-in for me, I guess." Dan Blakeslee admits that the hirsute caricature on the silver-and-black Heady Topper cans is also something of a self-portrait. "I will confess: That was the year I grew a beard for the first time," says Blakeslee. The Rhode Island-based artist created the design for double IPA Heady Topper: a man whose head explodes with hops as he drinks a beer. Blakeslee says he never intended the figure to resemble himself, but he was using a selfie as a reference for the old-timey bearded character that Alchemist cofounder John Kimmich had in mind. "After a while, I was like, Oh, that's weird. He kinda looks like me," Blakeslee says. Blakeslee also did the label for the Alchemist's Focal Banger and artwork for several other regional breweries. Like Kochalka, he's a musician and songwriter, and he plays in Burlington often. One day at Muddy Waters, Blakeslee recalls, he was drawing a show poster when he felt someone looking over his shoulder. That's how he met Kimmich, who asked him to do some art for his brewery. Blakeslee says the label concept was all Kimmich. "I originally went way overboard," he says of the exploding man. "Like, his skull was just ripping apart." Rather than skull fragments, Kimmich suggested hops. "Which I thought was just brilliant," says Blakeslee. "And also a lot more appetizing." The original print version of this article was headlined "Nice Cans: Vermont Breweries Score Design Awards"